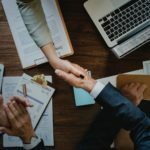 ABC's of EOS: Level 10 Meeting Not Helping? Here's Why. The Level 10 Meetings ™ are one of the most important tools in the EOS ® (That’s Entrepreneurial Operating System ®) toolbox. If I had to pick one tool to recommend to every business owner or executive team, it would be the Level 10 Meeting. 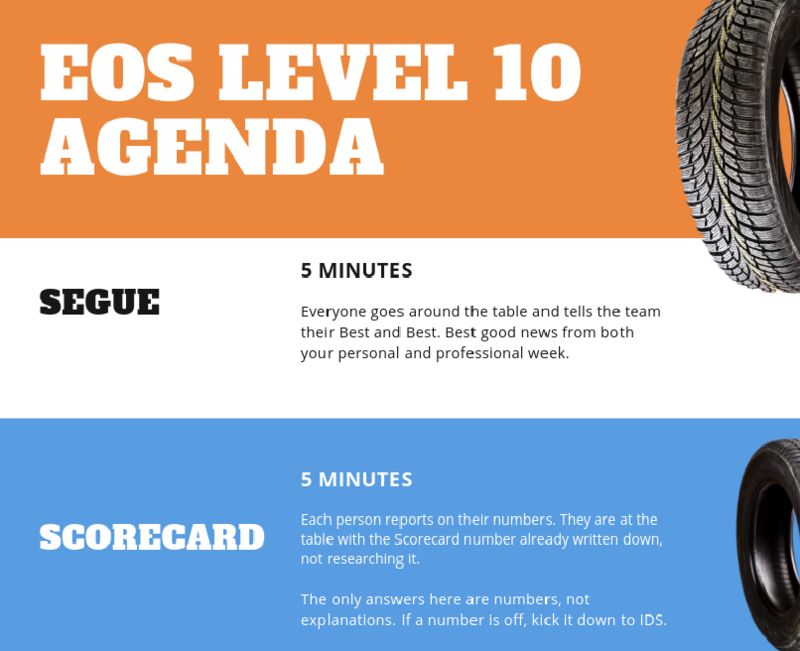 When teams use The Level 10 Meeting right, it propels their efficiency through the roof. I regularly have leaders tell me that the once dreaded weekly meetings have become the place where the most happens. People actually look forward to the meeting, because they know it will be useful. The feeling of stagnation in your business is gone. Your meetings last exactly 90 minutes. You’ve got 100% accountability. Everyone knows exactly what’s expected of them and why. Everyone is open and honest. People call each other out politely, but without holding back. Those are really just the highlights as well. If you’re using the Level 10 Meetings correctly, you know that it does a lot more for your business than just that surface level stuff. If you are trying to use the Level 10 Meeting, but not doing it correctly, you’re creating a litany of problems for your team. When used wrong the Level 10 Meeting can feel like a fad, or surface level flavor on top of the same boring meetings. That’s a bad scenario. Not only are you not helping your team, you’re making them feel disillusioned and worn out. When a Level 10 Meeting Agenda isn’t being used correctly, it should be very obvious. Problems like the following are so commonplace they become the new norm. People seem bored with or unimpressed with the new tools. Team members regularly shirk their weekly measurables. Difficult conversations brew under the surface, but nobody talks about them. People are late, on their phones, and generally acting as if this meeting is NOT their number 1 priority. 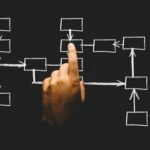 If you are using the Entrepreneurial Operating System without the guidance of a Certified EOS Implementer, it’s likely that you’ve run into one or all of these problems. Well, I wouldn’t bring them up if I didn’t want to help fix them. So How Do You Fix Your Level 10 Meeting? Sometimes your hold up isn’t the process. It’s the people. I take no pleasure in saying this now or any other time I’ve said it, but not everyone on your team will make it through the EOS Process. The Entrepreneurial Operating System leaves no room for people to hide their shortcomings. When someone isn’t the true best fit for their job, they fear the EOS Process. When someone fears the EOS Process, they will resist it with all they’ve got. That doesn’t mean they’re bad at their job or evil or trying to tank the company. It’s just self preservation. Again, I don’t enjoy saying it, but, if your Level 10 Meetings aren’t going well, you need to ask if it’s because someone in particular is resisting it. Step 1: Make sure you have a team that is on board with the EOS Process. If not, you have people problems. 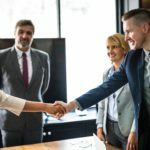 When I start working with a company as their EOS Implementer, I like to start by letting them know that the Entrepreneurial Operating System is an All-or-Nothing approach. You can’t really pick and choose the things that work for you. A big part of that is that the Accountability relies on this All-or-Nothing approach. Me: Fred, did you finish your EOS Rocks for this quarter? Me: What does “almost” mean? Fred: Well, I needed to land 20 new clients. I got 18. Me: OK. I will mark that as a “no”, because you didn’t complete the goal of 20. Fred didn’t hit 20, so he failed his goal. Maybe he has a really good reason, maybe not. That isn’t the point. The point is that everyone on your team must be responsible for accomplishing the goals given them to 100% completion. If they aren’t getting that done, you probably need to take a look at how you set your goals. The EOS Process, and the Level 10 Meeting specifically, require that accountability in reporting be unwavering. Without that, it all devolves into “almost”. And, as a leader, you know that “almost” succeeding hurts just as bad as failing entirely. Step 2: hold people accountable for 100% completion of goals. If the goals aren’t getting 100% completed, reevaluate the goal and the person. I won’t spend too much time on this, because I think it’s fairly intuitive. If your team isn’t being respectful, you aren’t going to succeed in your mission. What do I mean by not being respectful? Telling anything other than the full truth – When you lie to someone, you are saying they either don’t deserve or can’t handle the truth. Treat people like adults. They deserve it. Not appreciating a team member’s contribution – Acting like only your contribution is meaningful isn’t just rude, it’s ignorant. Talking behind someone’s back – This schoolyard communication prevents problem solving and sews distrust. Without respect, a team isn’t a team. It’s a boat with a hole in it. If your team is anything short of 100% respectful as I’ve laid it out, it’s time to have the conversation around respect. It won’t be fun or easy. In fact, it will be very uncomfortable. However, it is necessary and will help your team grow. Step 3: have the conversation around respectful communication. I’ve written extensively on holding people accountable to clear and well defined standards. EOS has a whole toolbox for exactly that purpose. I won’t deep dive on those tools here, but I strongly suggest you check out the article on each tool mentioned. Build an EOS Scorecard™: Make sure every person at the table has numbers they need to meet every week. Define your EOS GWC™: Does every team member get, want, and have the capacity to do their job as defined by your GWC? Create EOS Core Values™: Everyone needs to understand exactly what it means to be a good fit for your company. Set and achieve EOS Rocks: Your team needs to know the growth goals for the quarter and be accountable for making them happen. These tools are the first piece of your accountability puzzle, but they aren’t the last. It will take time to build accountability, and it will take hard work. The key point to understand is that these tools aren’t designed to punish people that fail in their goals. Instead, they highlight the places that changes are needed. If someone is regularly not meeting their goals, it may be that they need access to a resource that they don’t have. And, it may be that no one, themselves included, realized that until the goals were laid out clearly. That’s the very short version. If you have questions after that, please leave them in the comments. Step 4: ensure accountability to clear goals and help each team member meet those goals. If I could point at one mistake that nearly every team makes when they start using EOS, it would be under utilizing to-do’s. Everyone thinks they understand how a to-do works. They think it’s something they are familiar with. They’re wrong, unfortunately. In your day-to-day life a to-do is something you put on a list and hope you get to it sometime soon. They gets shifted around, ignored, and done eventually. That’s not how an EOS To Do List works. An EOS To Do List is a list of tasks that are getting completed in 7 days exactly. That’s it. 7 days. Not 10, not 14, not 100. 7. There are four reasons a to-do doesn’t get done. The person assigned the to-do dropped the ball. The to-do was unrealistic for 1 week. Act of God. Let’s be honest, business isn’t always predictable. If your to-do’s aren’t getting accomplished every week like clockwork, your EOS Level 10 Meeting quickly becomes useless. The EOS To Do List is what drives your businesses growth. It’s the gears deep within the engine that have to turn to take you where you want to go. Without the EOS To Do List, there is no real Traction™. So how do you address each of these problems? It could be there fault or it could be they didn’t have what they needed. Respectfully discuss what happened. This is very common. It takes practice learning what can and can’t be done in a week. If it’s bigger than a week, break it up and put it on the EOS Issues List. Can’t do much here. This is the only good reason for a to-do to go undone. You’d be surprised how much this comes up. If you’ve been keeping up with my blog or listening to my podcast, you know that if more than one person is accountable, then nobody is. An EOS To-Do is assigned to one person. It’s that person’s job to make sure it gets scratched off. No one else can hold that responsibility. Time for my shameless plug. Really, though. Consider outside help. Running an EOS Level 10 Meeting correctly takes a lot of practice and a lot of learning. Having a coach (or in this case a Certified EOS Implementer) is helpful for the same reason having a coach is helpful for anything else. You learn from their experience and get to avoid difficult, often costly mistakes. Sure, you could teach yourself Japanese, but if you want to avoid accidentally telling someone to go eat a cat, you’ll probably want a teacher. Using the Entrepreneurial Operating System is simple. Learning it, though, can be a difficult journey. You have to ask yourself if the costly mistakes you can make are worth the money you’ll save by going it alone.